Finding a good 60 inch TV that won't eat up all of your income can be hard. Buying a TV is one thing, but maintaining is the difficult thing. Depending on how much TV you watch, your bills may increase after purchasing one. That's why buying a bigger TV can be more expensive than you think. 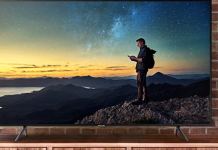 This is a big investment, and that's why we gathered the Best 60 inch TVs into one article. Everyone needs a reliable TV in their home, since some shows just can't be missed! 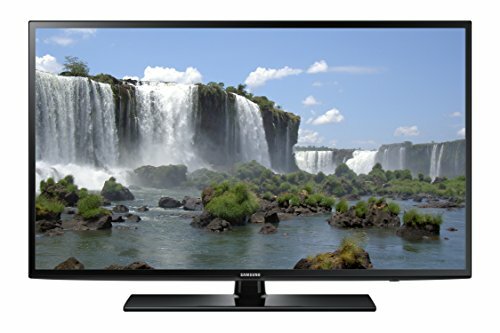 For cheaper options, feel free to browse these amazing 32-39 inch TVs! We know that people who are investing so much money into a product, want it to be good. We spent hours scrolling through reviews, and listening to expert opinion. With a now well-rounded opinion, we are ready to introduce you to our favorite 8, 60 inch TVs that are out. All of them are available out on the market today for reasonable price. They also have fantastic reviews from trusted customers and long-time owners. What To Look For When Buying A 60 inch TV? How To Mount A 60 Inch TV? How High Should I Mount My 60 Inch TV? 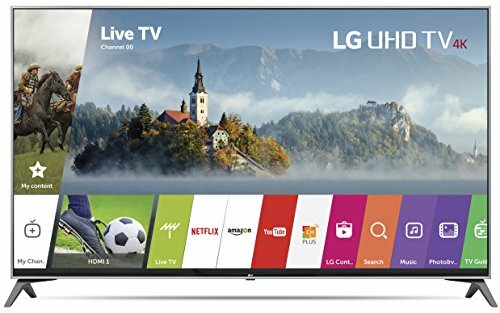 Best 60 Inch 4K TV? Below, we have 8 Energy Star rated 60 Inch TVs. All of them are very reliable devices that will work for years to come. They have also been tested by hundreds, if not thousands, of people worldwide. One thing is sure: we included only quality TVs that can be enjoyed by everyone. Families, kids, adults, teens and couples alike. If you're looking for a slightly bigger TV, please see our review on the greatest 65inch TVs for energy saving. Its no secret that LG is one of the most popular electronic brands out on the market. Their motto is to create advanced, beautiful technology that can fit into every home. Since 1958, LG has expanded to supply the whole world with their electronics. Their origins are, however, in South Korea, where they have their headquarters. If this isnt convincing, then we can also add that LG was the second biggest TV manufacturing brand in 2011. The LG Electronic 60-inch TV is actually one of LGs best-selling 4k TVs. Being a Smart TV, this LG also allows you to access all the popular apps, like Netflix, with 4k and/or HDR quality. It has been on the market since around 2017, and already has dozens of positive reviews behind its back. With WebOS, you will be able to have access to all the popular streaming apps. You will be able to see all your favorite shows brought to life in 4k, HDR or HDR effect graphics. Also, thanks to the Channel Plus app, you will be able to surf more than 70 free internet channels. With the Sling TV option, you will be able to customize and personalize your channel line up, too. You will also be able to save your settings, so that the TV recognizes your preferences each time. With the LG IPS technology, you will be able to sit anywhere and experience the screen the same way. With in-plane switching, LG offers you rich colors that are consistent and balanced no matter where you sit. Whether its far to the left or right, you will be able to see the screen just as well. The TV also supports Dolby vision, which means it optimizes the picture frame by frame. 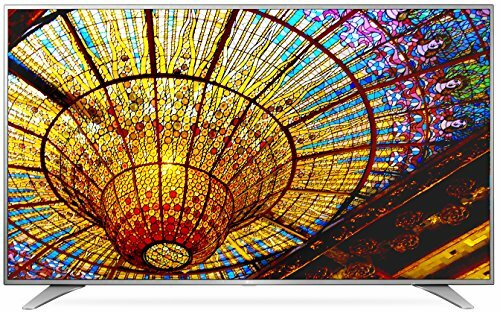 The LG also has an HDR and HDR effect option. With HDR, you will see a big difference in the gradients and ranges of color of the screen. The LG UHD TV will offer you a wide, dynamic range of colors that are as true to life as can be. All movies and scenes will become more vibrant and alive with this TV set. Why We Liked It - With the big screen, its easy to consider this the ideal living room TV. Looking for something smaller? See our review on the top 40 inch 4K TVs. Great HDR color quality that stays true to real-life colors is this TVs forte. Next up we have the Samsung 60-inch 4k KS8000 TV, which is one of Samsungs most developed TV sets. Its most praised features are its premium flat screen and deep contrasts. If you have been looking for a TV that can help liven up your living room, then the Samsung is right for the job. It also has the ideal screen configurations to help the whole family enjoy each detail from a distance. No matter at what angle you end up sitting, you will be able to experience the screen just as well. With all of its premium features, the Samsung is definitely meant to live up all the shows you watch. If you have a dreary, old TV that runs bleached out, boring colors, then the Samsung will be a stunning alternative. Samsungs main goal with this TV was to make small, seemingly insignificant details come to life. We can say, 100% convinced, that they have managed to meet their standards. With the new, Quantum Dot technology, the colors of the KS8000 are one of a kind. If you are used to dull, colorless screens, then this Samsung TV will make sure to rock your world. The contrast and hue saturation of every frame on the screen is second to none. All of Samsungs SUHD TVs produce a picture that is true to life, vibrant and believable. With the dynamic brightness that is provided by the HDR 1000 technology, Samsung has hit the jackpot. All the vibrant, dynamic light colors are enticing, and the shadows are full of glorious details. Their newly developed HDR technology has definitely made an impact on the success of this TV. All non-SUHD content can also be watched in vivid, bright picture enhancements. This is all thanks to Samsungs smart picture engine which analyzes the brightness of the picture. It then gets to work by remastering it, to provide the viewer with the optimal contrast. Ultra Black also makes sure to enhance all the contrasts in darker scenes, where only black and whites are enriched. The Quantum Dot nano-crystal technology definitely makes this TV set stand out among the others. The colors are rich, and provide a high-dynamic-range experience and picture. Why We Liked It - This TV has the ideal balance between size, quality and price. Its the ideal product if you are looking for something affordable that will provide you hours of entertainment. Here we have another quality product from Samsung. Samsung has been around for over 80 years now, and just like LG, they have their headquarters in South Korea. Being such a well-known brand, its natural that their products are often at the top of every list. The Samsung J6200 has many features that its predecessors dont have. Like the Eco Sensor feature that allows the viewer to efficiently manage energy use. Many customers like this TV because its affordable, and has the legendary Samsung quality. It also reduces your electricity bills quite a bit, when using the Eco Sensor feature. Its definitely one of the more efficient TVs on our list, both production and maintenance-wise. It also arrives well-packaged, packed in styrofoam replacements that help keep the TV safe during its transportation. There are a few features of the J6200 that are worth mentioning. The Smart TV feature of the Samsung will allow you to quickly access all your favorite social media. The color enhancer will allow you to see and experience a large, vibrant spectrum of color. 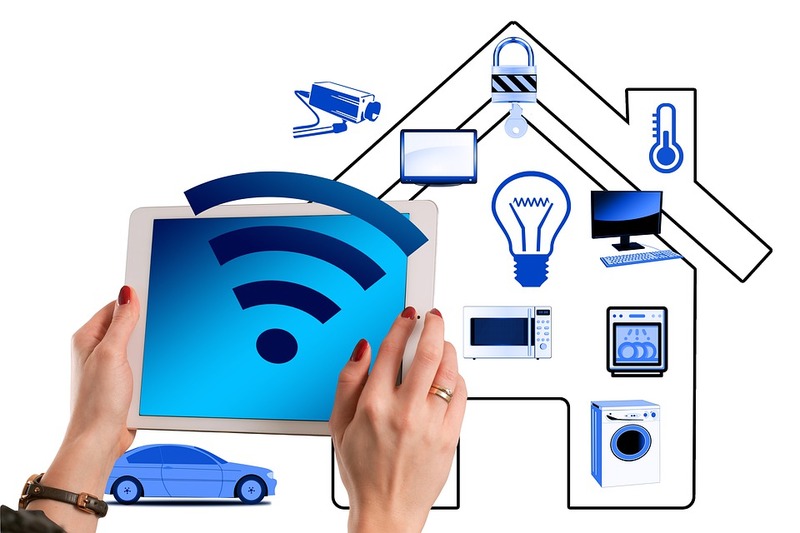 The built-in wi-fi will allow you to freely browse all your favorite sites on-screen. The DTS Premium 5.1 Sound will give you superior, high-definition surround sound. Sound that will help engulf you into the action of whatever you are watching! The Samsung also has full HD 1080p screen quality. Samsung definitely prides themselves on this feature, since most standard HD TVs have lower qualities. The 1080p HD screen provided here has twice the clarity of the regular HD screens. The wide color enhancer helps the J6200 enrich the quality and brightness of the colors on-screen. With this enhancer you will be able to experience each movie like the director wanted you to. With vibrant, crisp, accurate colors. 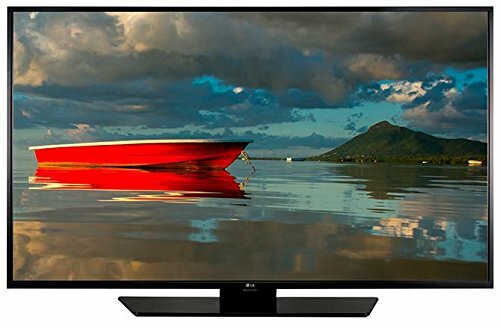 Why We Liked It - If you are looking for a TV that will help you reduce your bills and enjoy movies more, then the J6200 is the ideal candidate to do that for you. The LG Electronics LED definitely stands out among its sister models. It shines thanks to all of the advanced technologies that is provides. With the superior screen, HD qualities and color representation, this TV is also a bit more expensive. However, it also offers a variety of other additional features. Features that help make the life of the viewer easier. The Magic Mobile connection will allow you to wirelessly connect your phone to the TV. This is all done thanks to the LG TV Plus app. It will allow you to display photos and videos of your choosing on the big screen. This also works for apps! If you want a slightly smaller screen, save money today with a 55inch TV. Another feature that convinces customers to buy this LG is the Magic Remote. With the remote you will be able to point, click and scroll without any issues. You can also use voice commands, which is just an extra convenience. Unlike other TVs, this LG wanted you to be able to catch all the details of your screen. Thats exactly what they focused on when developing this model, and we think that they definitely succeeded. LG definitely went out of their way to provide their customers with this versatile, reliable TV. This LG in particular has quite a lot to offer. 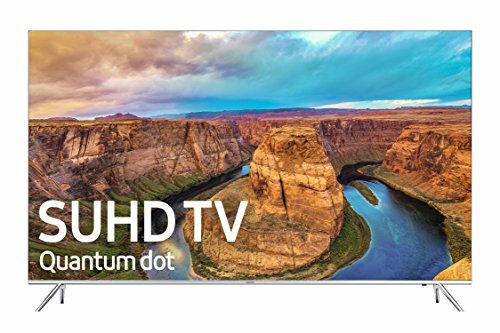 First off, its Super UHD. UHD helps give the viewers a 100% realistic experience with rich colors and smooth motion. You will also get better brightness and contrast, as well as being apple to access HDR with Dolby Vision. With the HDR Dolby Vision you will be able to see even the tiniest details within the blacks. This also applies for the brightness, which becomes more saturated and easier to read. HDR can help you discover colors youve never seen before. Colors that the director would have intended you to see. With the Magic Zoom option you will also be able to zoom in mid-view. If you have missed something, or cant quite put your finger on where you saw a certain actor before, this feature can be a life-saver. The IPS K Quantum Display will also help enhance your color-watching experience. 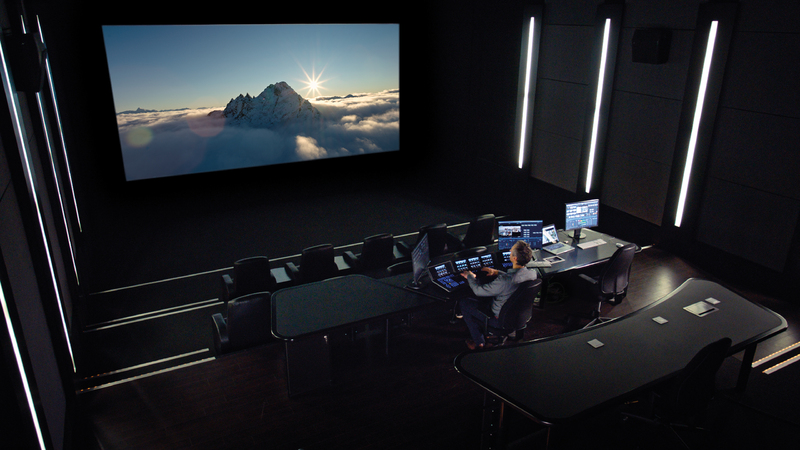 With over a billion color gradients, you will enjoy movies like never before. All the colors will also be consistent to a wider viewing angle. Thanks to the UHD and HDR Dolby Vision options, you will be able to enjoy a billion colors like never before. Why We Liked It - The main reason? Dolby Vision... A favorite of many major studies, will allow you to see movies like many directors first intended. Just like any LG model, the LG UH6550 has some features that many other LG TVs dont seem to have. Being a 2016 model, this LG has been tried and tested and loved by many. There arent many cables that could ruin its exterior beauty, either. It will easily outshine any regular TV with less external appeal. No matter where you put the UH6550, you will be able to experience the screen just as well. Whether you are seated further to the right or left, the screen is designed to curve and support all watching-angles. This is perfect for living-room settings where sofas, or kitchen tables, are situated in half circles. LG ensures that every member of the family gets the best view from wherever they are sitting. The IPS Panel featured within the UH6550 is know to use in-plane switching. In-Plane switching does what we discussed in the above paragraphs. Mainly allowing all viewers to experience strong colors and non-distorted pictures from all angles. IPS allows the fight over who will sit where to be resolved within seconds. With Color Prime Pro you will be able to experience a wide-range of colors. Colors that are accurate, lifelike and more enjoyable. With the 60 inch screen, you will be immediately immersed within whatever you are watching. TruMotion 120HZ technology lets you watch any action-packed movie with no motion blur. This is especially noticeable when playing games, or watching sports. If you are tired of seeing blurs, this LG can fix all of those frustrations for you. The 4K Upscaler allows the TV to analyze the data of the frames and enhances it. This means that each frame will be crystal-clear, with near-4K quality that is desired by many. Regardless of what video content you have, it will look 10x better with the LG 4K Upscaler. With the Ultra Luminance technology, you will get boosted brightness and contrast within every frame. This means more detail in every picture, and more enjoyment with every movie. Why We Liked It - If you are looking for a feature, action-packed TV set, then the UH6550 could be the perfect choice. Its the ideal size to have in the living room, or bigger bedroom. Despite not having OLED, this TV does extremely well projecting good pictures during the night. The quality is sharp, the color palette looks crisp and saturated even with dim lights. These features definitely help in providing the viewer with a faithful representation of each movie/show. Many customers are happy about the fact that they can get an affordable TV with such distinct features and custom screening. All the apps provided with the TV will allow you to quickly access everything that you need. Along with the Magic Remote, you will be able to quickly switch between all your favorite shows, features and settings. You can also get this beautiful LG TV at great discounts during every season. The Nano display also helps to reduce the reflections that can occur in a bright room. 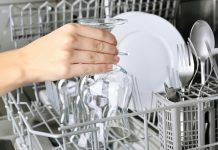 The Energy-Saving option will also help reduce your bills. The main features of the LG include internet video play back, digital audio play back, digital video playback, digital photo playback and web browsing. The bundle also comes with a 1 year warranty. Although limited, its definitely long enough to notice any defects. Just like LGs other TVs, you will get superior HDR and Dolby Vision screening. All the colors will become vibrant, rich and engaging and you will be surprised with how dull your previous TV looks. Since most TVs only run at a 60hz rate, the 120hz refresh rate of this LG is something magical for many people. Games and sports look stunning, and become twice as enjoyable with the smooth frame switching. This LG is one of the few TVs that actually sticks to their promises of the TruMotion 120hz refresh rate feature. The quality of this LD screen is definitely high-class. Many people have concerns about light-bleeding and weak blacks when purchasing LG screens. Luckily, most of those concerns can be justified and modified in the settings of the TV. This screen in particular has no local dimming, and handles dark scenes very well, even in dim rooms. The display of this LG is bright, consistent, sharp and reliable. You will be able to see a consistent, rich picture from any angle in the room. Many customers enjoy this TV since they get a gorgeous picture, even without the addition of an OLED. Why We Liked It - This LG TV is definitely a best-seller when it comes to best living room TVs. Its the perfect size, and has all the accompanying features that make a good, reliable TV. The LG Electronics USA is undoubtedly one of the best energy-saving devices on our list so far. Not only does it help to reduce your electricity bills, but also helps to keep you entertained. If you are tired of the monthly bills, you will be able to drastically reduce them with this LG. You will be able to, finally, relax while watching without worrying about how much you will have to pay at the end of the month. The TV itself is very affordable, looks great and works great. Its Energy Start certified, has a good, thin screen and an LED display. With a weight of about 50 pounds, its relatively easy to set-up on your own, too. 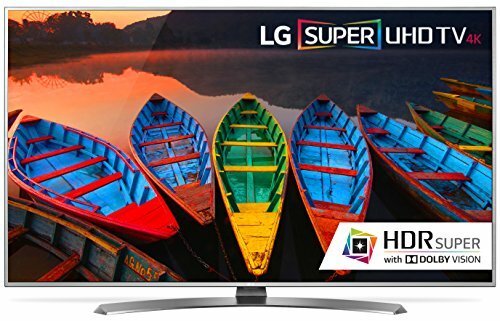 Also, with a resolution of about 1080p, this may be one of the cheapest, best HD quality LG TVs out on the market. This LG comes with a 2 year warranty, and is more of a commercial TV. It allows you to create a media playlist, whether thats made out of videos, music or images. You can also save these playlists to a USB memory device, and only connect it when you want to stream your list. Everything will be played in a reliable sequence, with no mix ups. You can also set up a welcome screen with your log and/or business name that your customers will be able to see when the TV is turned on. Copying and cloning the TVs settings with a USB is one of its best features. This is extremely useful if you have various playlists that you want your customers to see. Also, thanks to the EnergyStar certification, you can rest assured that the TV wont eat up too much of the bills. Also, thanks to the USB memory device, the Self-Diagnosis feature allows engineers to analyze the data easily and quickly. This helps dramatically when there are technical problems that you need to solve with the TV. The TV can also be locked thanks to the Lock-Mode, which blocks external input signals. This is a great feature so that you can prevent any kinds of misuse when the TV is out in public, or on a shop display. The display of the screen is an edge LED and has a regular frame rate of about 60Hz. The TV comes with a Dynamic Color Enhancer common with many LG TVs. It significantly enhances the vibrancy, richness and brightness of the usually dull colors on standard TVs. Why We Liked It - With this TV, you will not only be able to have a budget purchase, but also a longtime device that will accompany you for years. Many customers have already stated that they have had this TV for years and with little to no troubles. 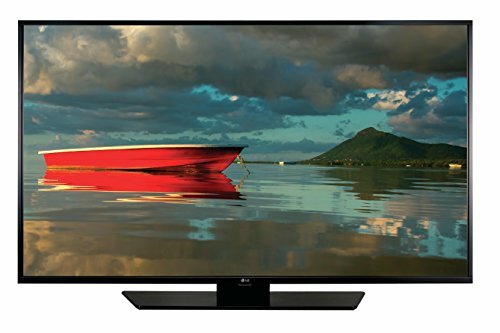 This black LG is another TV also designed for commercial and professional use. If you need a TV that will be used in hospitality environments like shops, small businesses and malls, this is the best 60 4k TV to go for. Weighing in at about 75 pounds, this TV is a bit heavier than the previous commercial LG we listed, but it also has a bit more functions. If you are not sure what screen to choose to represent your shop/company, then this LG really does outshine the other TVs. Its big, sturdy, and shines both functionality and appearance wise. Its appeal definitely stands out thanks to its simple, black, glossy design. This helps most of the focus go onto the screen, where you will be trying to attract your customers. Also, being an Energy Star product, this LG will help you keep your business bills at a minimum. Its a good investment, with a longterm gain, both business and moneywise. Hefty bills will become a thing of the past. This LG has an edge-lit LED display with a very reliable brightness output. Also, with a 1920x1080 resolution, you will allow your customers to watch your adverts in high-definition. With the superior, detailed LG screen that is known across the community, you will also certainly attract many new customers. The display panel also has an 8ms response time that helps to reduce any sort of blur and helpt to keep distortion at a minimum when there are fast moving images. The TV also has 10W speakers that help give the LG quality, HD sound stereo sound. Sound that will help enhance your presentations, thanks to the clear and loud sound. A digital optical port also helps in outputting the audio to an external audio system. Also, thanks to the Energy-Star quality, as we mentioned before, you can rest assured that the LG is manufactured with a efficient, power saving and power management features in mind. The display of the screen is edge-lit and has a resolution of about 1920x1080. 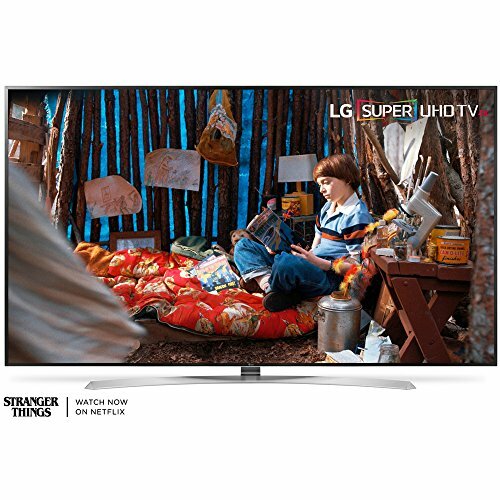 This commercial LG TV has also been made with a 1400:1 contrast ratio that allows this TV to handle light/dark scenes with very faithful contrast representations of the subjects. Why We Liked It - Its a fuss-free, down-to-the-point design that LG made sure to include. Buying a new TV, or your first TV at all, can be a big investment. Especially if you want to buy a bigger, 60 inch screen. All popular brands such as Samsung and LG lead this industry, and trying to choose one single TV can prove impossible. All of them seem to have great features, fantastic colors, no motion blur and wide, reliable screens that dont distort the picture. Some people take months to choose one single TV. Comparing your favorite products is definitely the key, but you also need to know what t compare. We managed to provide you with 8 TVs that have been best-sellers on the market. Now, its time to discuss as to why they are the best. The only way we can do that is if we delve deeper into the features! Establishing your budget before jumping into the TV hunt is vital. This will help you pick the best deal, and help avoid spending more money on features you will probably never use. Most 60 SmartTVs rotate around the $900-$1500 price range, and thats what we recommend for customers to be aware of. This may seem like a lot, however a 60 TV with HDR/Dolby Vision and smooth graphics is definitely worth more than the usual, average TV. You will definitely thank yourself later on when you discover how detailed, vibrant and rich your colors have become. Most TVs released nowadays (or that have been released in the past 2-3 years) are Smart TVs. Smart TVs, essentially, are just TVs with an internet connection. This means that you will get quick and easy access to Netflix and other popular online apps. Many companies try to make this seem like a special deal, however nearly every TV has this option now. Especially after Netflix got big, every TV company had to improve their merchandise to suit the new customer demand. A Smart TV may also be referred to as a Hybrid or Connected TV. It will be almost impossible to find a TV that is not a Smart TV on the market since they have kind of become the status quo now. The most important thing is to be able to distinguish the durable Smart TVs from the ones that will break within 2 years. 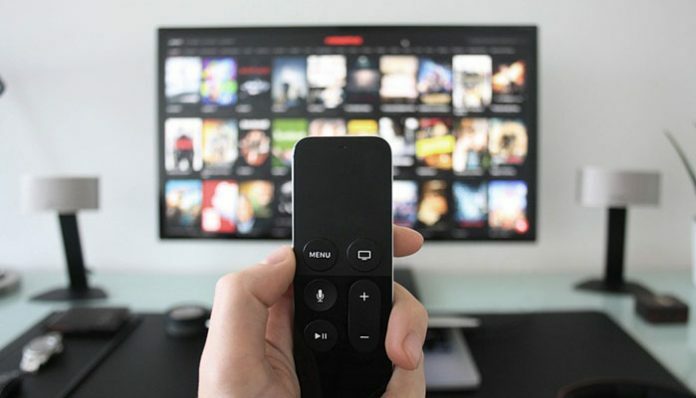 A Smart TV will not only give you access to Netflix, but to other apps too, such as Hulu, HBO, YouTube and many others. You will still, of course, have to pay subscription fees for all of these channels. The TV is just there to help give you the ability to access them at your will through an internet connection. Some smart TVs are also equipped with a voice search option, which saves you the trouble of clicking those tiny buttons, trying to navigate the display for 20 minutes. As with any voice detecting device, you will have to make sure that you are speaking clearly and slowly when you give commands. Regardless, this is a great tool to quickly switch between programs and channels! There have been hundreds of pictures circulating on the internet that compare TVs both with and without HDR. The ones with HDR usually show a brighter, more rich-in-color, well-balanced and vibrant picture, while the other looks like a dull, gray alternative. HDR stands for High Dynamic Range. The most important thing that people focus on when buying the best 60 TV is the quality of the screen resolution, and the colors. The goal of most TVs is to have screens that project colors as close to real life as possible. All in all, color, contrast ratio and a good color palette are more important to viewers than better resolution, since it makes the colors appear more vibrant. HDR allows you to perceive lighter brights and darker blacks, which promotes great dynamism. With HDR you will also be able to see better detail both in the darker and lighter parts of the picture. Dolby Vision is basically just an HDR format. 4k has given us better resolution and more pixels, however Dolby really changed the standards of todays TVs. After HDR10, which is the TV standard that is included on all standard TVs, we have the Dolby Vision. This format places an additional layer of information on the already present HDR10 format, allowing you to have the most premium, superior detailed picture quality available on the market. If you are interested in experiencing the faintest tone subtleties and gradients, then Dolby Vision is definitely a feature worth checking out. EnergyStar rated products are products that help the customer save on their electricity bills. These TVs are designed to be efficient so that you can leave all your worries behind when watching your favorite shows. 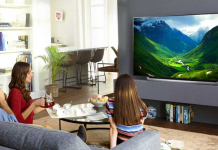 If you have previously owned a TV without the EnergyStar feature, you will undoubtedly notice a significant decrease in your bills after you install your new TV. Each SmartTV comes with its own set of features. Some TVs have Dolby Vision, others have only HDR, while others have voice search options and web browser options. Its important to look around and choose a TV that has all the features you need, while leaving out all the features you dont. Some TVs also come in bundles with additional speakers, stands, mounts etc. but most of the time, customers are required to buy those separately. 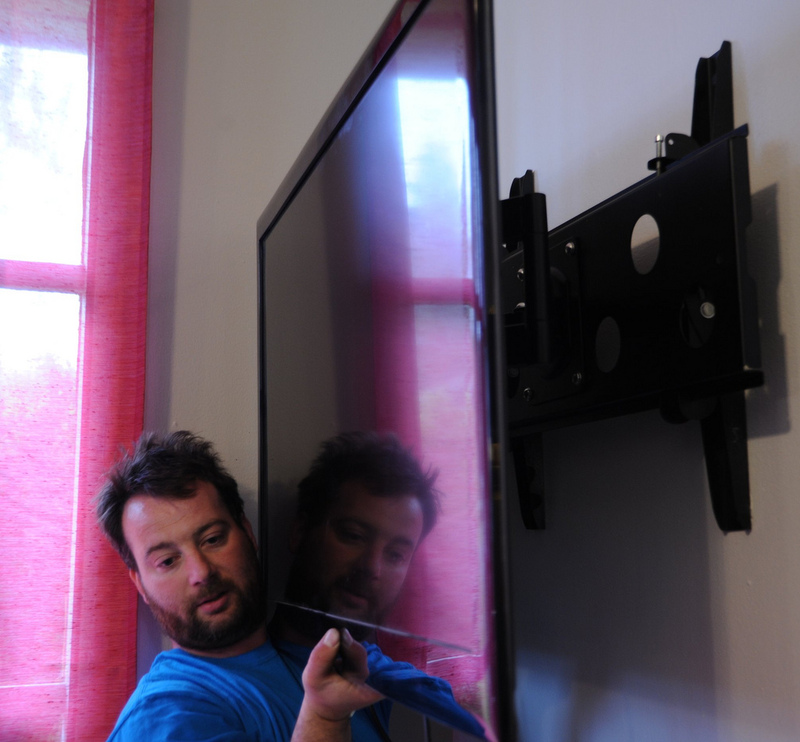 When mounting a 60 TV, its best to ask for help from a friend or family member. 60 TVs are heavy, and trying to do the task on your own can quickly lead to a disaster. First, you will need to pick the best spot. Make sure to discuss this with other people who may be using the TV, too. After the spot has been chosen, you will need to mount the wall bracket with the help of some tools. You will now need to mount the second bracket on the back of the TV. Now is the time to connect all the necessary wires and cables to the TV. Finally, you will need to get someone to help connect the brackets and hang the TV. Its important to check if your wall can support a 60 TV, since those are harder to support due to their weight.If you are having any sort of trouble or are unsure as to how you should go about the steps, we recommend contacting a professional. The recommended mounting height for a 60 TV is about 26 above the floor. This may, however, vary depending on what sofas/chairs you are sitting on and how your interior is spaced out. Our favorite 60 TV is definitely the Samsung 65Q9FN. It has fantastic sound quality, a great HDR format, and is considered one of the best LCD screens up to date. It has direct LED lightning, no bleed through in dim light settings. If you want to enjoy darker movies in a cinema setting, while still being able to enjoy all the brights, then this Samsung is a fantastic choice. With over a billion shades of color, you can rest assured that this TV will provide you with the best quality screen and scenes possible. Choosing a new TV for your home can be stressful. Especially if you live with your friends, siblings or family members. Choosing a TV that can be used, accessed, enjoyed and maintained by many can seem like an impossible task. We have different preferences, generation gaps, and varying opinions. The best thing you can do is discuss in depth on what everyone expects from the new device. 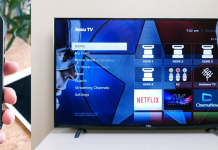 If you are purchasing the TV for yourself, the journey will be a bit easier, however it will still take a lot of time to choose something that suits your tastes. The best thing we can recommend is spending a week or two (or more) looking through all your favorite options. Maybe taking a trip to the local store that has the TV out playing can help, too. You will be able to get a first-hand experience, and explore all the features in depth. Regardless, its important to write down all the pros and cons of your favorite products and decide which one will suit you and your home best. If you are planning on mounting the TV, its best to ask someone else to help. It can be very difficult to lift a 60 TV alone! You can also hire a professional to help you, if you are not sure about how you should go about the task. The first TV that had reliable internet access actually originated around 2008, and was made by Samsung (the Bordeaux 750). Since then, most TV companies have adapted the idea to make their TVs allow internet access. Read more about the evolution of the television here.